Merukimon Ducks under the blast and stabs upwards with Aztec. I get hit by the blow. I back up a bit and open a message terminal to Magnamon "Help my friend" I close it and charge the god. "Transcendent Sword"
Merukimon moves away smothly and Slashes downward. I aim at him "Double Shot!" Merukimon Dodges one, but the other hits him and He stumbles back. I aim at the black gear. "Omega Blast!" It Hits and the black gear goes flying. Merukimon Blinks. "Wha.. ?" I open a terminal to Mt. Olympus. "Supreme Cannon" To make him go fly back into the terminal. Merukimon gets hit dead on and goes through the terminal. I couldn't believe how many eggs were there. Then I saw a Digimon. It looked at me and growled. I tried to get away but he wouldn't stop chasing me. i was panting and tiered. I turned around at the digimon and said "Alright you asked for it." I charged at him with my whole body. "METAL CANNON" I shout as metal balls come flying out of my mouth. 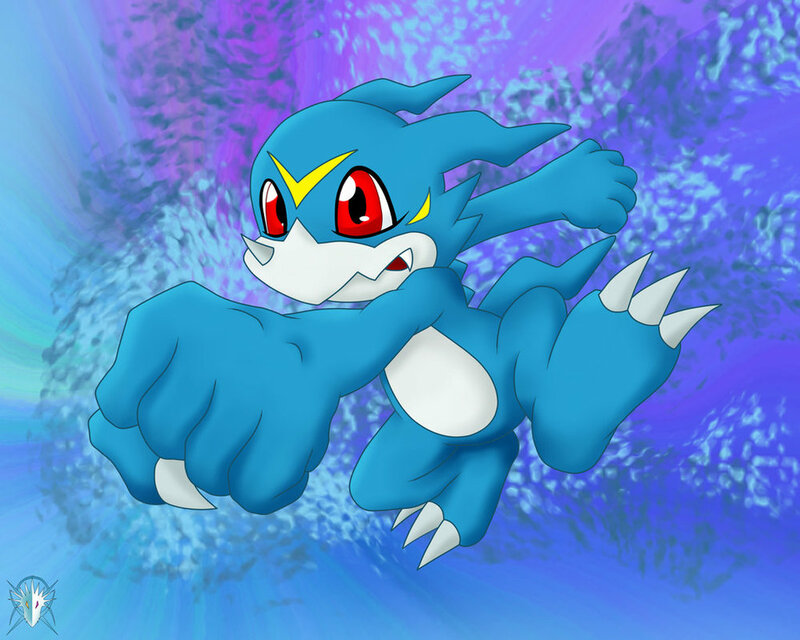 the Digimon that attacked me ran of. I ran into the city centre, confused about my surroundings. Wow... That's a lot of eggs. I followed Shannie, close at her heels. When she stopped, I stopped. "What's wrong, Shannie?" I looked at Bokomon. "Nothing. You know I can get really confused here. What does wikipedia say about those eggs?" I turn and see the human "Sam..."
I notice the other guy and the digimon with him. "Uh... Hi! Who're you?" I adjusted my pink harumaki (body warmer) around my stomach. "That's a human. And a digimon, Shannie." "I know that," I frowned at Bokomon. "Tell me about the eggs." "Humons bad. That humon has a digimon captive"
"Hu-mon?" I asked, saying it out loud like he was. "No, no! Bokomon isn't capative. He likes to follow me. We're partners. I'm Shannon. Call me Shannie. And this is Bokomon." "Hello!" I said and waved. I puffed out my chest. "Shannie does not trick people. She's too stupid." "Hey!" I protested and turned my back on Bokomon in a huff. "I resent that." "What?" I asked. "It's the truth!" "I can outsmart her," I shrugged. "It's not that hard." "Shannie is. She likes to help out," Bokomon said. I turned around and hugged Bokomon. "Aw! I love you, too, Bokomon!" I withdrew from the hug and smiled at Bokomon. I shake my head "Humons live in humon world not here"
I show him my digivice. "No. But we can visit. What's your name> I'm at a kind of loss." I grinned at the digimon beside the boy.